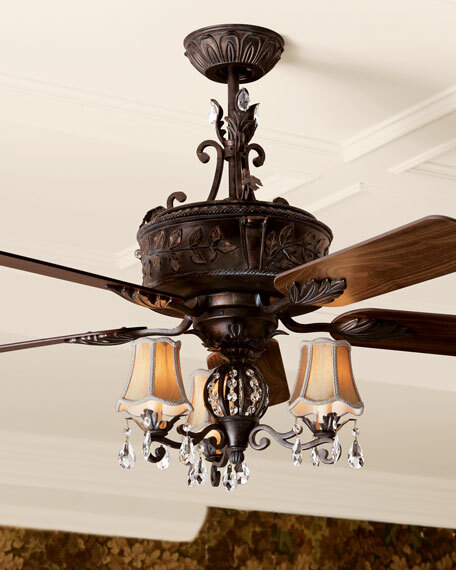 Old world style ceiling fan made of metal and resin. Designed with a 54"Dia. blade sweep with a 14" pitch for maximum air movement. CFM: 5,802; Wattage: 68; Airflow efficiency: 92. Hardware and ceiling canopy included. Boxed weight, approximately 35.4 lbs. 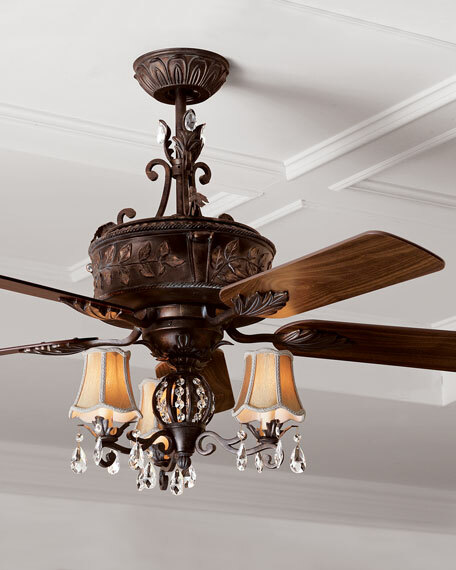 Three-light light kit for ceiling fan. 15"W x 5"D x 10"T.